Our Spring 2019 Directed Research students did a wonderful job presenting during the 20th Annual Psychology Department Undergraduate Student Research Poster Session! 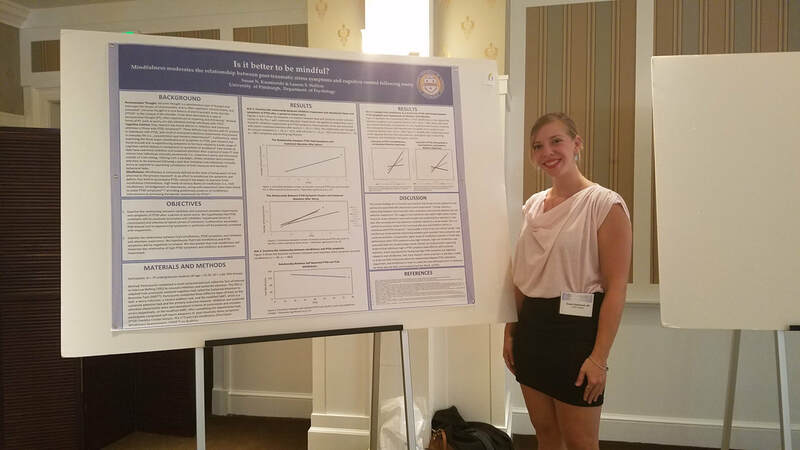 Congratulations to Katie Caufield for earning a Grad Expo 2019 Outstanding Presenter Award for her poster titled, "No Moderating Role for Reappraisal on Depressive Symptoms in Perfectionism-linked Rumination: A Conditional Process Analysis"! Congratulations to our 2018 APA SUPRE Fellow Naara Ramirez-Estevez. Naara concluded her fellowship by presenting her research. Pictured with lab members Susan Kusmierski and Essang Akpan. Lab Manager Susan Kusmierski presented at the Pennsylvania Psychological Association Annual Convention on PTSD symptoms and trait mindfulness.